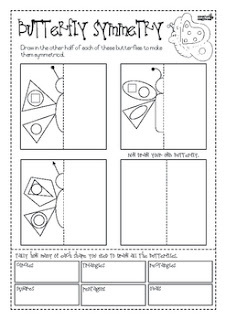 This worksheet provides practice in symmetry and shape recognition. 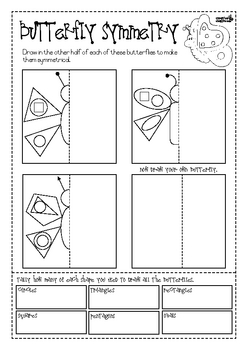 Students use 2-dimensional shapes to create the other half of symmetrical butterflies. Once th ebutterflies are completed they tally how many of each shape they have used.